There are lots of tools for grantmakers to navigate through questions of how to effectively engage in advocacy and public policy. While there is a perception grantmakers' are very restricted in their advocacy and public policy efforts, there is actually much grantmakers can do through grantmaking and direct involvement. 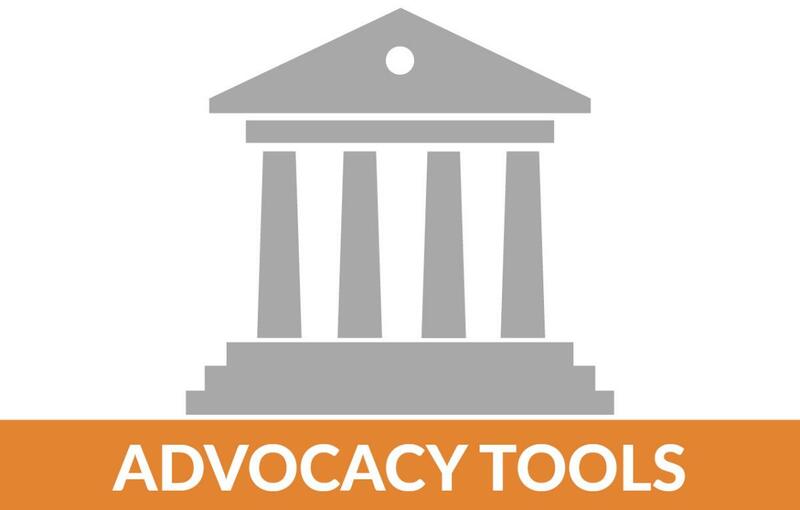 The tools we provide here help you understand why grantmakers should be involved with advocacy and public policy, how to participate, legal guidelines and how to evaluate advocacy and public policy activities. Also, MCF programs help you make the case for grantmaker involvement with advocacy and public policy and provide you with the skills to participate through your grantmaking and direct action. Alliance for Justice / Bolder Advocacy - A national association representing a broad array of groups and considered to be a leading expert on legal frameworks for nonprofit and foundation advocacy. AFJ's web site features resources for grantmakers. Below you can download a copy of AFJ's Philanthropy Advocacy Playbook, as well as guidelines specifically for private and community foundation involvement in advocacy and public policy. Council on Foundations - A national association of grantmakers that provides public policy research and advocacy to promote philanthropy and charitable giving. COF provides resources on issues and advocacy practices for grantmakers. Below you can download a copy of COF's Advocacy Guide which explains how to communicate with elected officials, particularly members of Congress. The Forum of Regional Associations of Grantmakers - A national association of regional grantmaking associations, including MCF, that provides policy research and advocacy to promote philanthropy and charitable giving. Through its PolicyWorks program the Forum provides training and resources for regional grantmaking associations and their members. Below you can download tools to help you prepare for a meeting with an elected official, guidelines for private and community foundation involvement in advocacy and public policy, and a tool to help networks of grantmakers organize advocacy and public policy activities. Foundation Center - A national clearinghouse on grantmaking that publishes the Grant Craft resource guides on grantmaking practices. Below you can download the Grant Craft isue about who grantmakers should engage in advocacy and public policy and how to do this through grantmaking and direct involvement. Evaluation is an important part of grantmaking. Below you can download publications from the California Endowment and The Annie E. Casey Foundation about evaluating advocacy and public policy programs. MCF published an advocacy resource guide in 2011. A copy of the MCF guide can be downloaded below. Arons, David F., Power in Policy: A Funder's Guide to Advocacy and Civic Participation, Fieldstone Alliance, 2007. Avner, Marcia, The Lobbying and Advocacy Handbook for Nonprofit Organizations, Fieldstone Alliance, 2006. Check the MCF calendar for information about current programs to support your advocacy and public policy capacities. "Change-oriented mission statements - by necessity - require a foundation to pursue public policy efforts that attempt to fundamentally change how the system operates."